Chewing has ranged from uncomfortable to painful for the last three weeks, so today I returned to my dentist for an adjustment on my recent same-day crown. Thankfully, no numbing was required, just a bit of grinding down until my bite was even. I was thrilled to be able to chew more easily again, and tonight I prepared a few traditional Chanukah foods for dinner. Well, Trader Joe’s actually did the work. I heated and assembled. 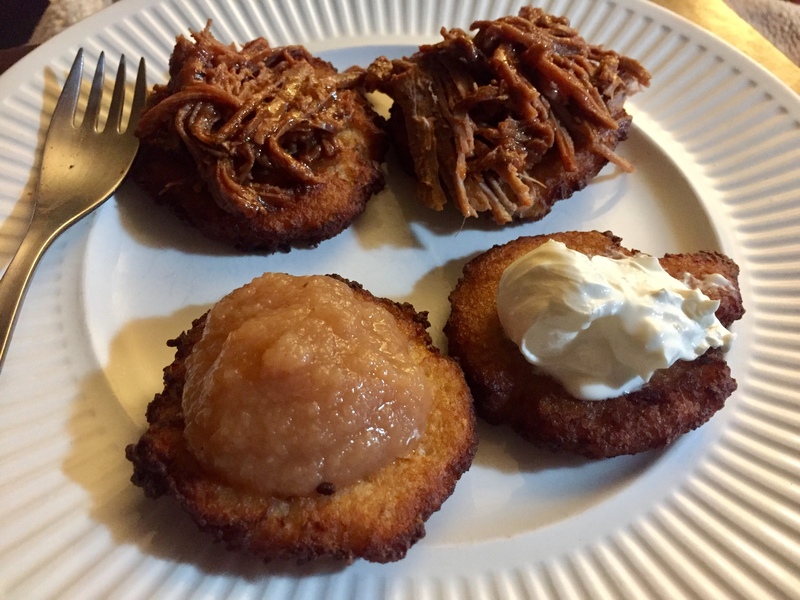 And voila — Mama and I feasted on latkes topped with pulled brisket, cinnamon applesauce, and sour cream. Delicious! We lit our fifth night candles and watched them burn while we ate. 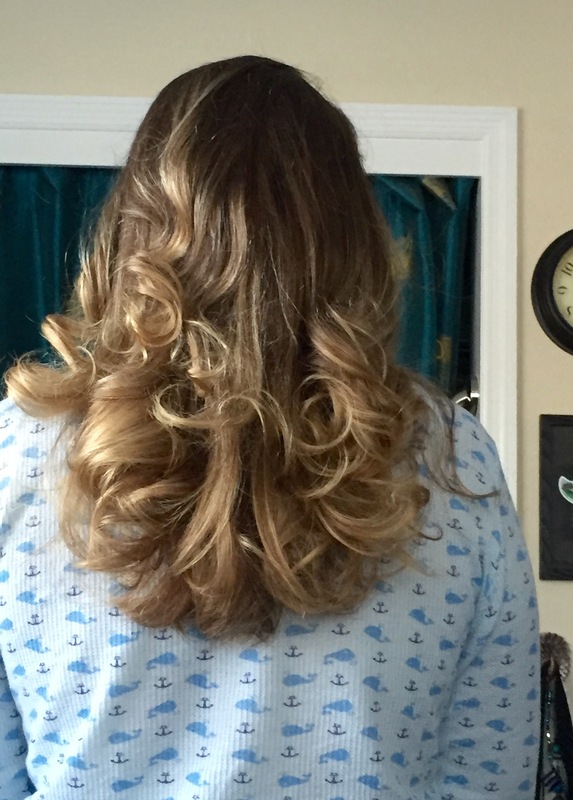 Today’s #OneGoodThing was getting my crown adjusted so I could enjoy latkes with Mama! Day 340 of 365. And Day 1,071 in a row (here’s the first 366 & the following 365)!